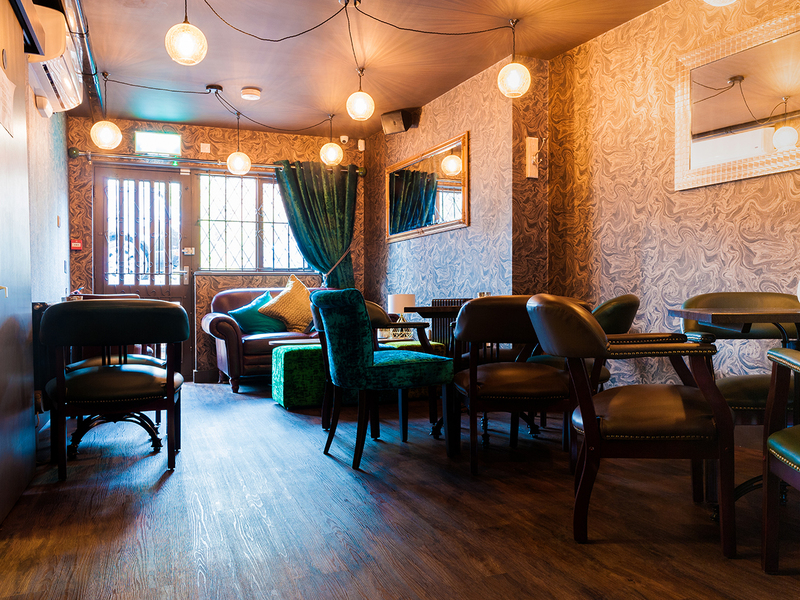 The UK gin industry is experiencing incredible growth and part of this can be attributed to the increase in high quality bars specialising in the spirit. 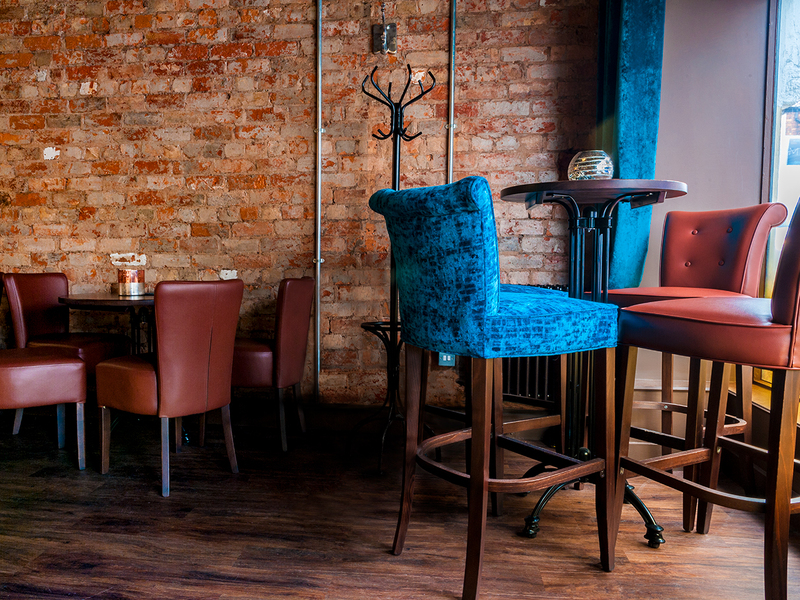 The newly opened 'Simpson's Gin Bar' in the Midlands is one such establishment. 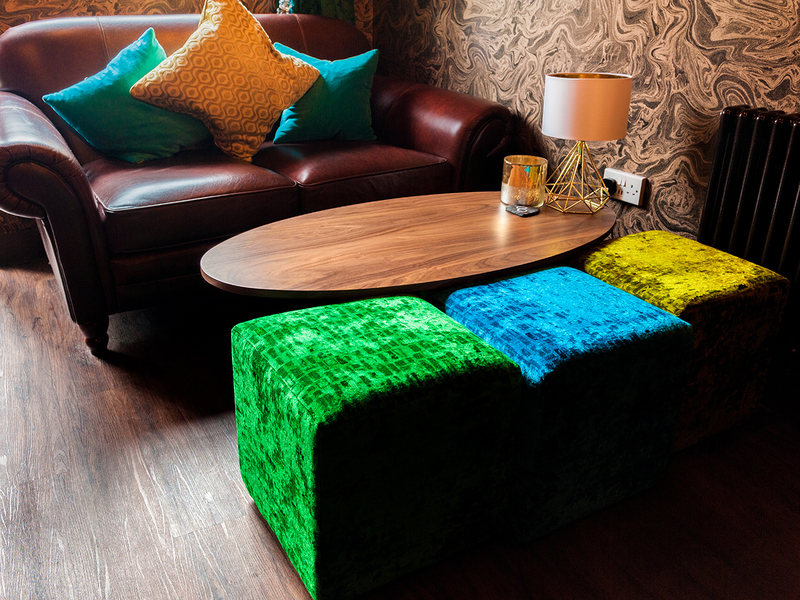 Their brief to us was to supply the kind of sophisticated bar furniture that would befit such a venue. 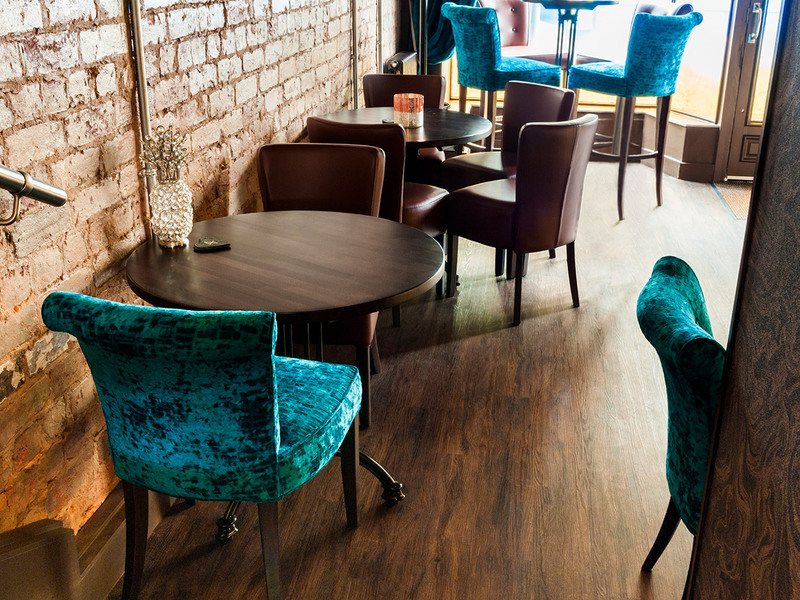 The Alpine Massimo chair - an ever popular part of the JB catalogue - was used in a traditional chocolate faux leather on a walnut frame. 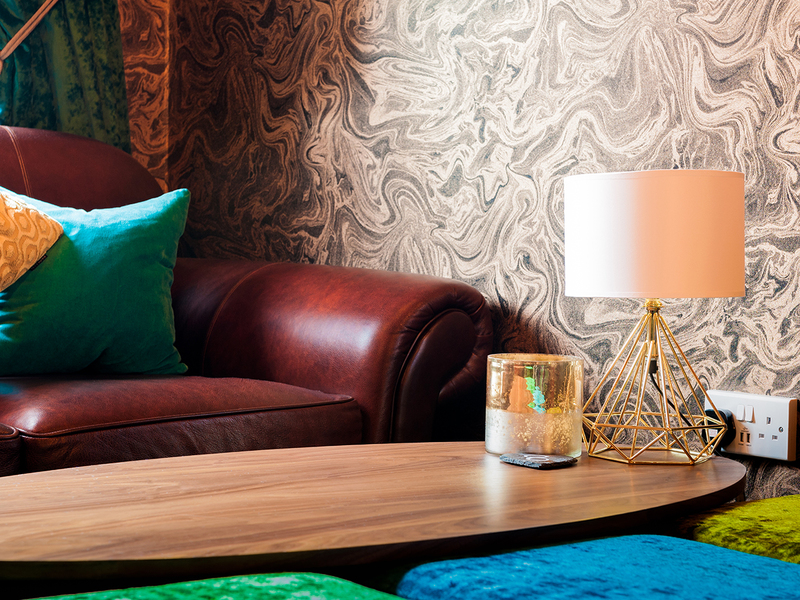 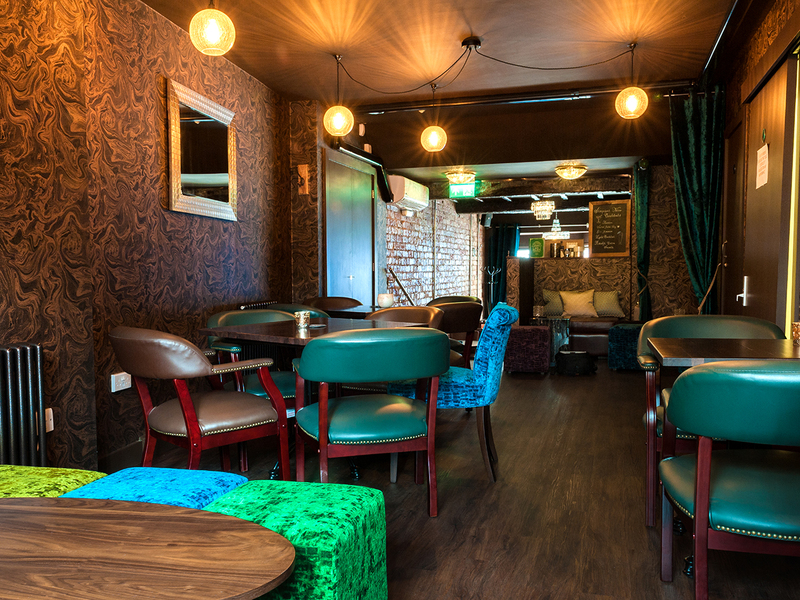 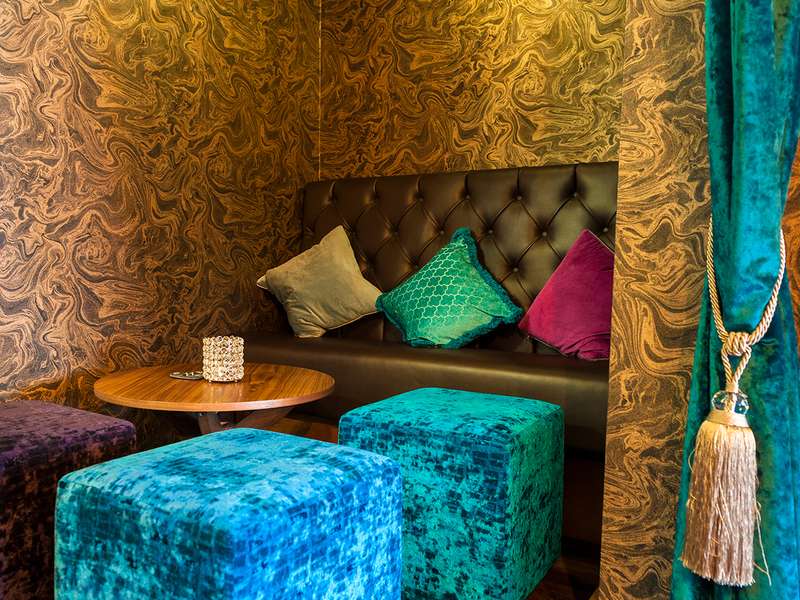 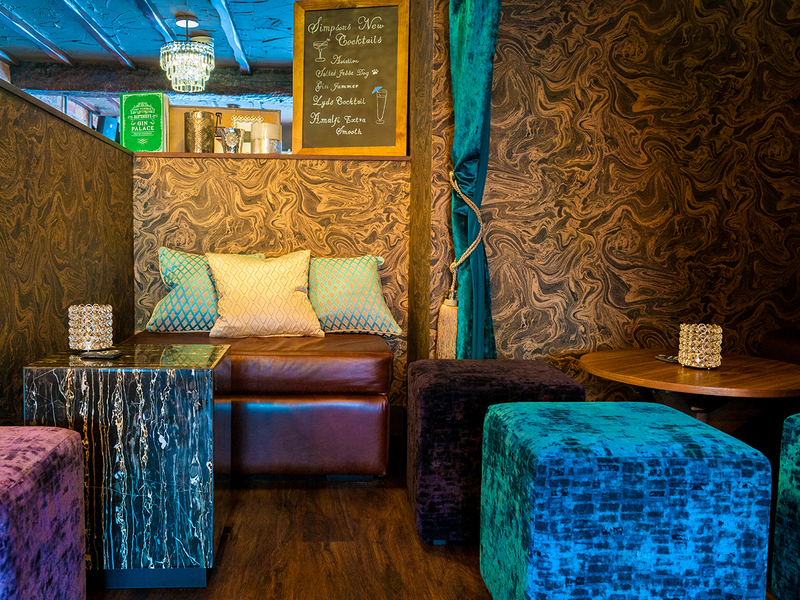 Meanwhile the bar and breakout area were peppered with a selection of side-chairs, ottomans and bar stools; to give 'Simpson's Gin Bar' that extra bit of individuality a specialist fabric from one of our regular partners; 'Sunbury Design', was used in this instance. 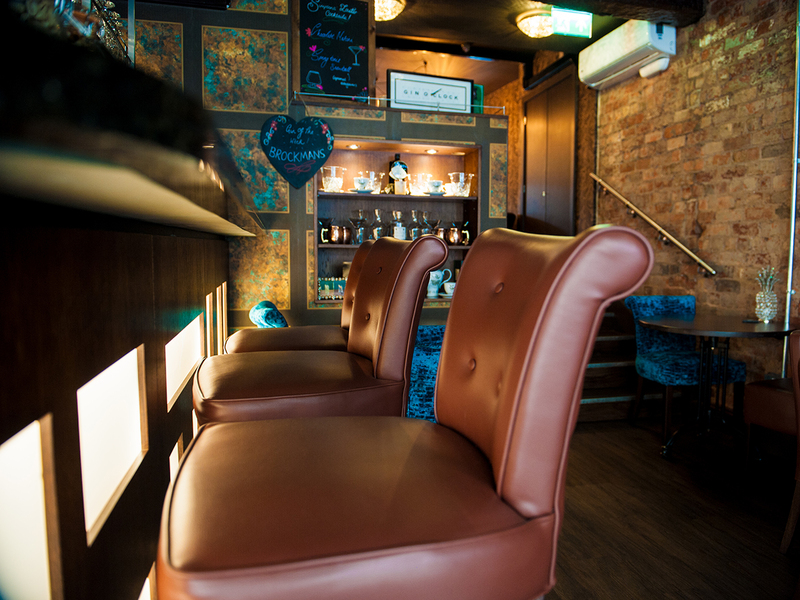 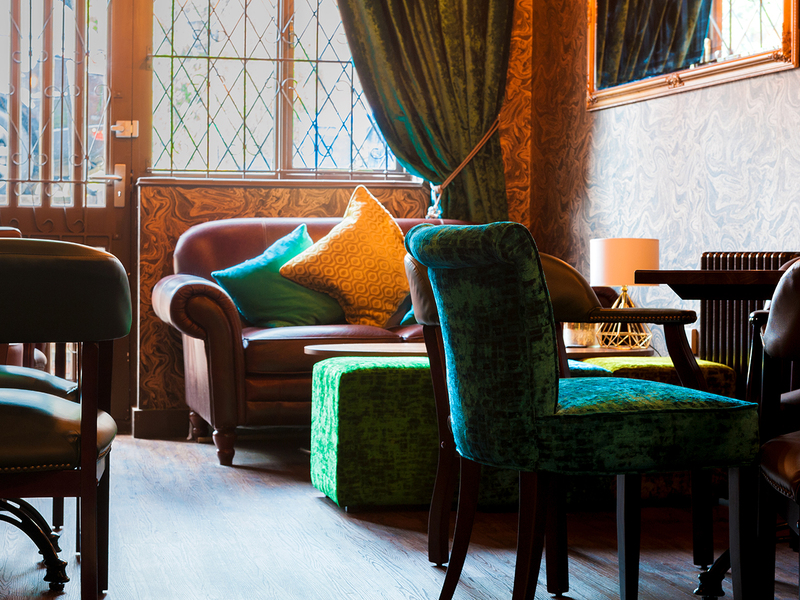 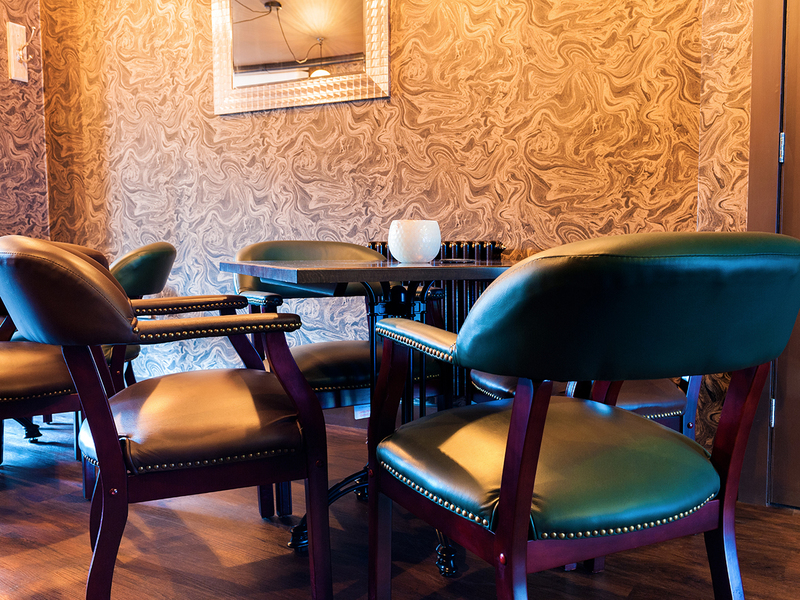 The finished look was a smart juxtaposition of classic faux leather chairs and soft, luxurious velvet chairs and stools, perfect for the mix of influences used in this up-and-coming establishment.